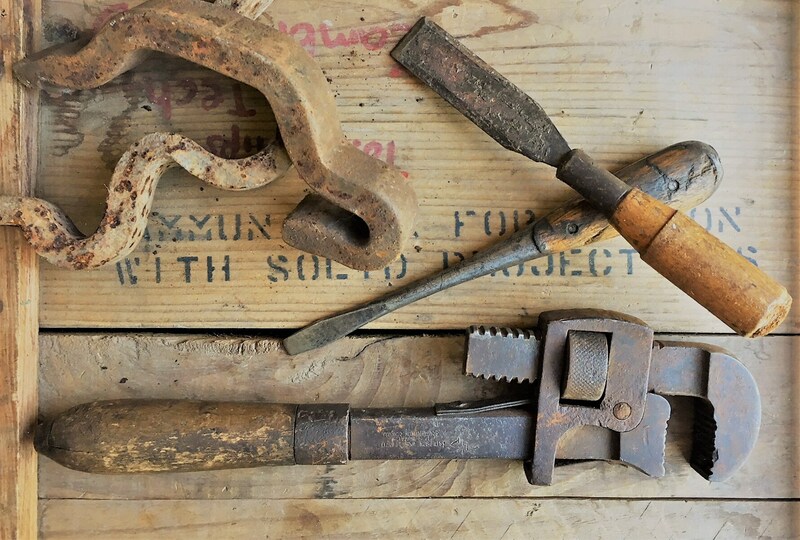 Featured is a small collection of vintage, wooden handled tools. 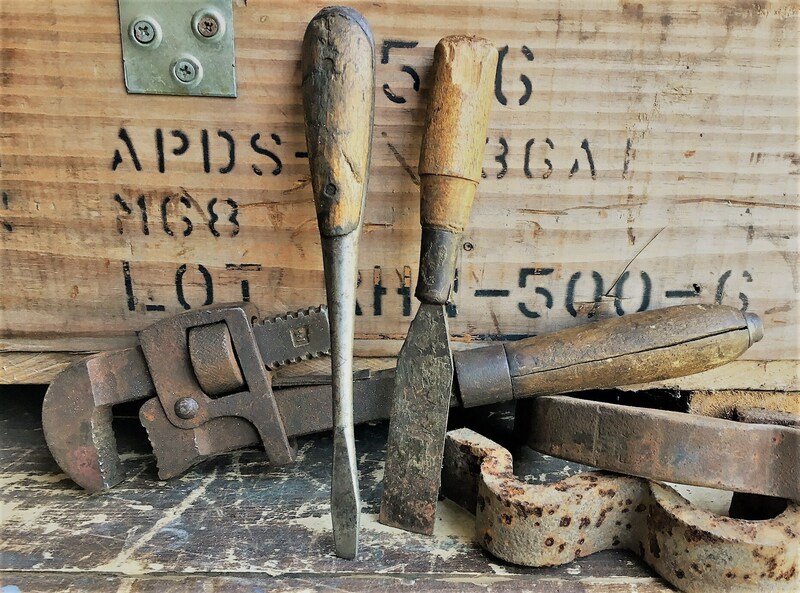 Included is an 8 1/2 inch flat-tip screwdriver, an 8 inch chisel with a 1 inch wide blade and a classic example of a vintage Stillson wrench from the early 1900s. 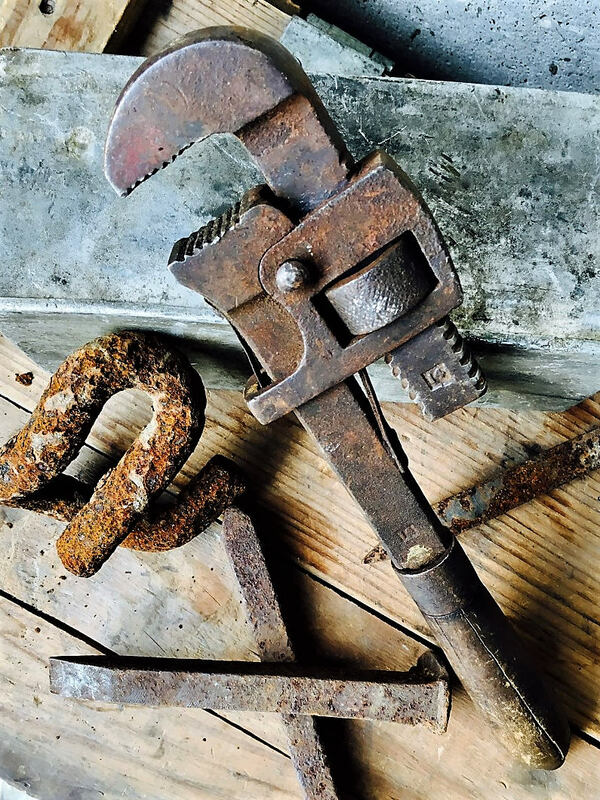 Sometimes called a pipe wrench or a monkey wrench, this 14-inch model is from the Peck, Stow, and Wilcox Company of Southington, CT. 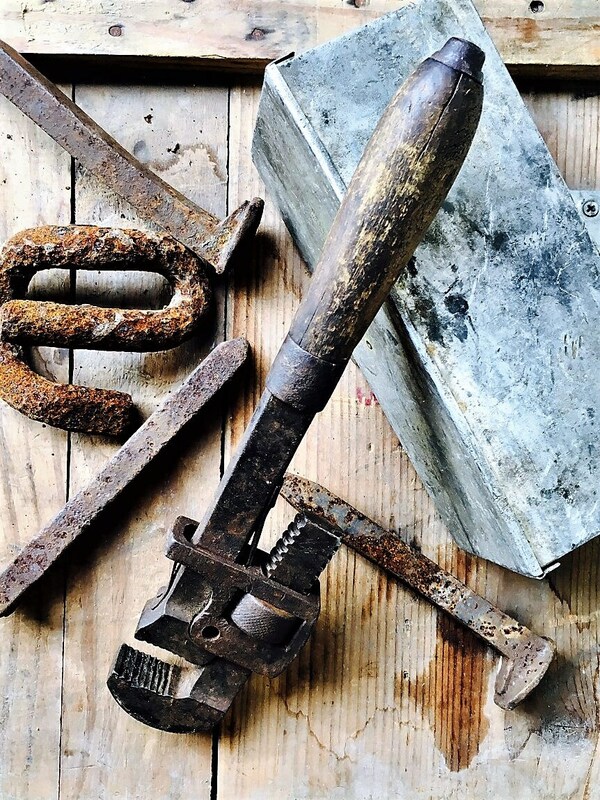 The company was founded in 1870 and they first made tinner's machinery, tools, and household utensils. By 1900 sales topped the million dollar mark. 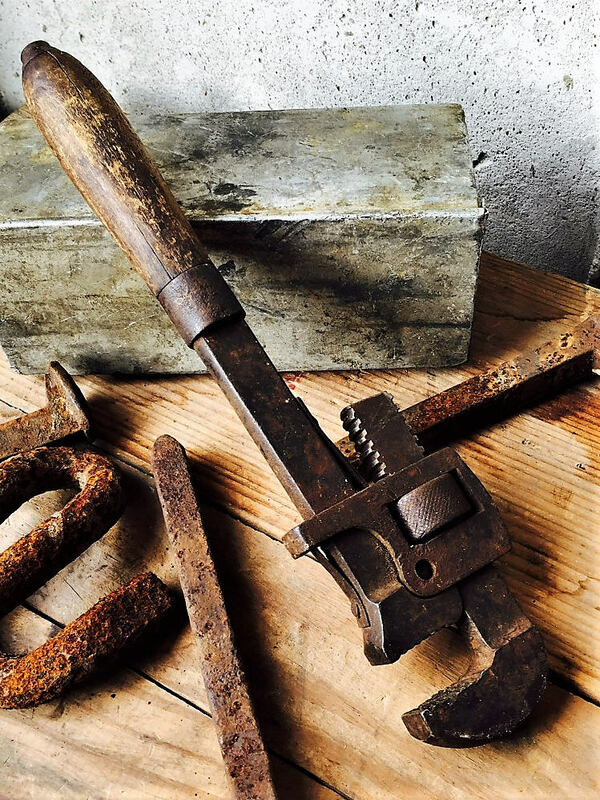 This wrench features the original wooden handle that is still in tact although it does have several cracks. The manufacturer's mark is stamped on the shaft just above the handle along with the letter AY (possibly the initials of a previous owner). These pieces are old and have been used. They look just like they should after all these years; nice patina, a little surface rust, and stained or cracked handles. They makes for wonderful accent pieces, complement an antique toolbox, round out a garage pegboard, or star in a steampunk décor. All three pieces for one low price.